Pax Christi Southern California is a Region of Pax Christi, USA, the national Catholic peace movement. 2010 marks the 20th anniversary of the Pax Christi Southern California region. Local member groups include Pax Christi Pomona Valley, Pax Christi Orange County, and Bishop Alemany High School. A Pax Christi USA Region consists of six or more Pax Christi USA registered local groups or 200 registered Pax Christi USA members in a specific geographic area. Regions organize at least one regional event per year and communicate on a regular basis with the Pax Christi USA local groups and individual members within the region via a regional newsletter, regular mailings and/or email communiqués. They are a vital part of Pax Christi USA’s identity as a grassroots’ movement. Regions develop prayer, action and educational opportunities within the region, mobilize support for Pax Christi USA initiatives, and provide community support for members. 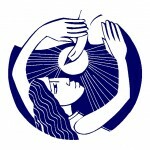 Regional status requires the selection of a regional leadership team through a process involving all Pax Christi USA members within the region; this team is expected to be representative of the region’s local groups and to meet regularly (generally 2-4 times/year) to pray, vision and strategize. In addition to the benefits experienced by local groups, Pax Christi USA Regions are invited to provide input into the development of PCUSA’s annual Work Plan as well as other national level programs/projects. Pax Christi USA assists in supporting regional work through an annual PCUSA Regional Membership Grant and also fully subsidizes an annual Regional Leadership Meeting focused on prayer, planning, and relationship-building among the regional leaders and with the National Council and National Staff.